PayMaya QR Payments now available in Boracay! Home / news / paymaya / services / PayMaya QR Payments now available in Boracay! PLDT and Smart Communications' digital financial services arm, PayMaya recently launched its QR-Based mobile payment in Boracay! It is initially available at the Hue Resorts and Hotel Boracay and the surrounding food and retail complex in Station X. One of Boracay's Pioneering food park, the Street Market along with other establishments in Station X are embracing PayMaya's QR payment solution. This allows users to pay by using the PayMaya App and pointing their phone's at the respective merchant's QR code displayed within the merchant's premises. We are strong advocates of entrepreneurship, unique concepts and innovation. This is why we are very excited about PayMaya's integration with the vision to further enhance customer experience and convenience especially here in Boracay. We are proud to be part of the cashless movement and especially proud to be partnering with PayMaya for this, said Dexter Lee and Dennis Lee, Managing Directors at Hue Hotels and Resorts Boracay. 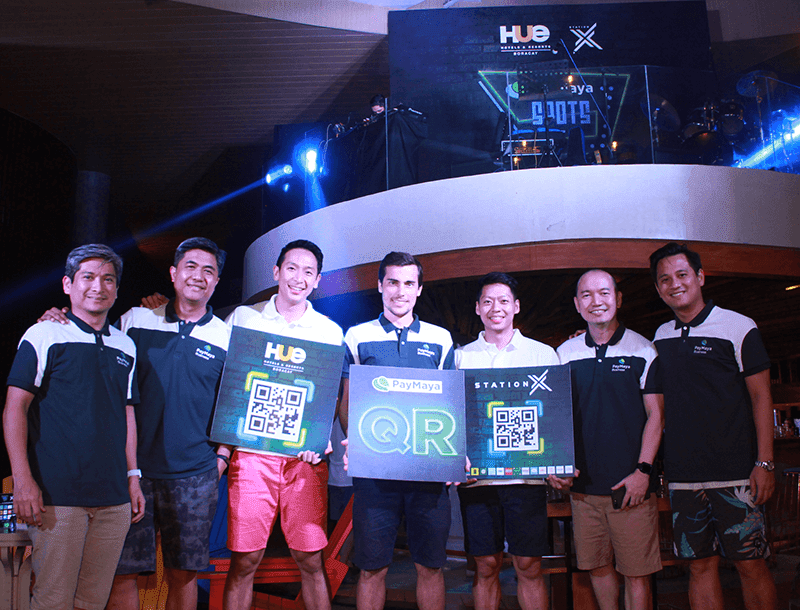 Station X and Hue are perfect matches for PayMaya in Boracay, as part of our initiative to accelerate cashless ecosystems nationwide via PayMaya Spots. They bring a fresh take on the food and hotel scene on the island. A superior customer experience includes providing a new and exciting way to pay, with PayMaya QR, explained Paolo Azzola, COO and Managing Director at PayMaya Philippines. Once you have funds available in your account, you simply have to tap "Scan" in the app and point the camera at the QR code displayed by the merchant, and you’ll be able to instantly pay for your purchases at the simple tap on your screen.